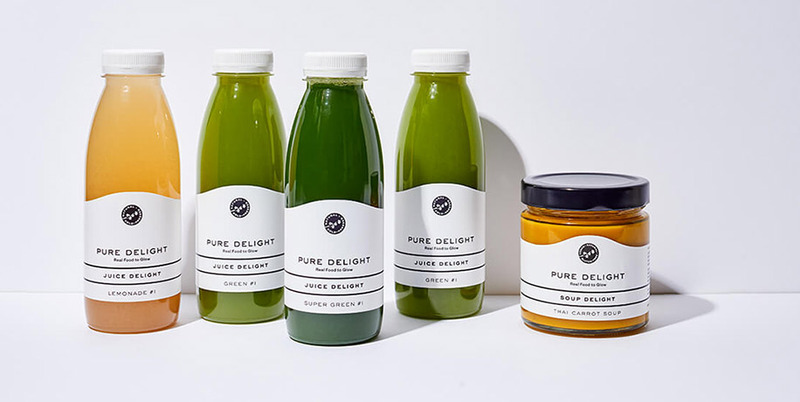 It doesn’t get any greener: This option is cleansing on the next level and therefore ideal for advanced “Cleansers” or everyone who is crazy about leafy green vegetables and Superfoods. You drink 5 vegetable juices throughout the day at intervals of about 2 hours. 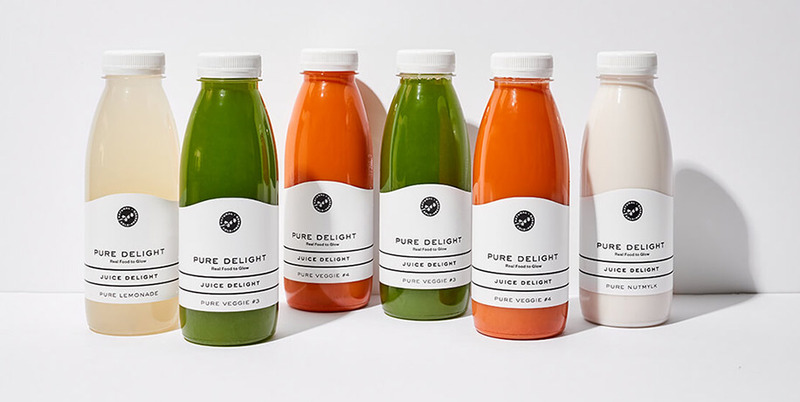 Each 440ml bottle of juice contains 2-3 kilos of freshly harvested vegetables, so you can drink up to 15 kilos of veggies a day. 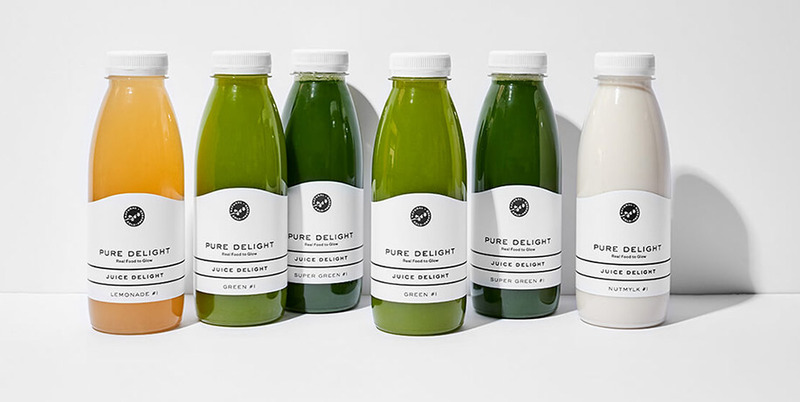 We recommend you drink our vegan and fructose-free Pure Nutmylk as your last drink in the evening. 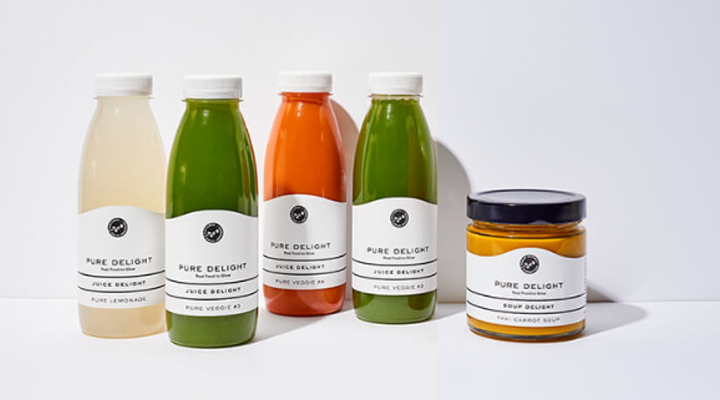 Our juices are always freshly cold-pressed in our manufactory, bottled and then brought directly to you. They are NOT heated, NOT pasteurized and NOT HPP-treated. Although they have a limited shelf life, they contain more vitamins and enzymes than comparable HPP-treated or pasteurized products that were produced weeks ago and stored for a long time. Without artificial additives and preservatives. No added sugar. Products must be stored refrigerated (+2°C to +8°C). Shelf life: 4-5 days after receipt (see also label on bottle bottom). We reserve the right to make minor seasonal changes to the juice menu. If you suffer from allergies or food intolerances, please get in touch with us before ordering. You drink 4 vegetable juices throughout the day at intervals of about 2 hours. 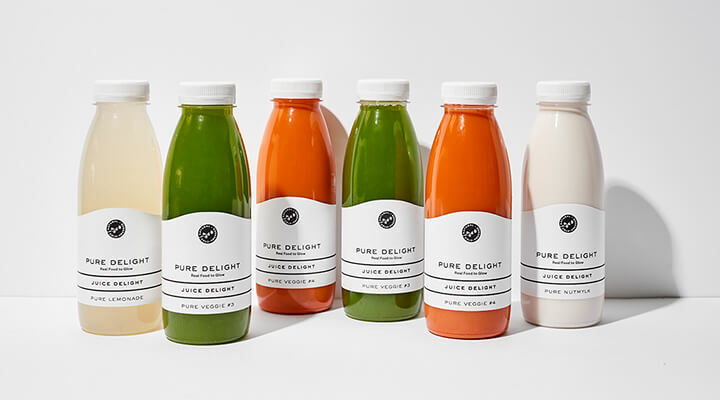 Each 440ml bottle of juice contains 2-3 kilos of freshly harvested vegetables, so you can drink up to 12 kilos of veggies a day. You can eat the soup either at lunchtime or in the evening, depending on your personal preference. We recommend warming it gently beforehand. Our soups are finely pureed for easy digestibility. Many delicious sorts provide a lot of tasty variety. 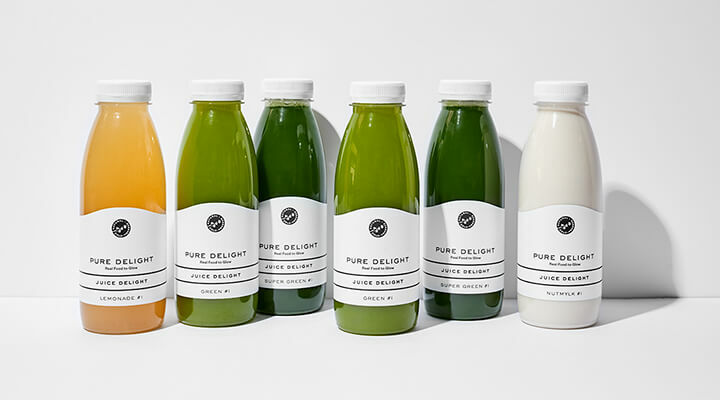 Our juices are always freshly cold-pressed in our factory, bottled and then brought directly to you. They are NOT heated, NOT pasteurized and NOT HPP-treated. 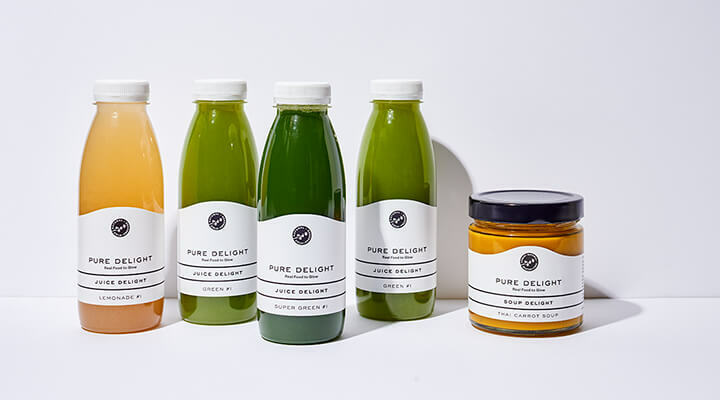 Although they have a limited shelf life, they contain more vitamins and enzymes than comparable HPP-treated or pasteurised products that were produced weeks ago and stored for a long time. Products must be stored refrigerated (+2°C to +8°C). Shelf life see label on bottle/glass bottom. Juices: 4-5 days after receipt. Soups: up to 10 days after receipt. You drink 5 fruit and vegetable juices throughout the day at intervals of about 2 hours. Each 440ml bottle of juice contains 2-3 kilos of freshly harvested fruit and vegetables, so you can drink up to 15 kilos of veggies a day. We recommend you drink our vegan Nutmylk as your last drink in the evening. Our juices are always freshly cold-pressed in our factory, bottled and then brought directly to you. They are NOT heated, NOT pasteurized and NOT HPP-treated. Although they have a limited shelf life, they contain more vitamins and enzymes than comparable HPP-treated or pasteurized products that were produced weeks ago and stored a long time ago. Products must be stored refrigerated (+2°C to +8°C). Shelf life: 4-5 days after receipt (see label on bottle bottom). You drink 4 vegetable juices throughout the day at intervals of about 2 hours. Each 440ml bottle of juice contains 2-3 kilos of freshly harvested fruit and vegetables, so you can drink up to 12 kilos of veggies a day. You can eat the soup either at lunchtime or in the evening, depending on your personal preference. We recommend warming it gently beforehand. Our soups are finely pureed for easy digestibility. Many delicious recipes provide a lot of tasty variety. 1-3 days: Ideal to try it out or to replenish your body. 5 days: The recommended duration for visible results. 7 days or longer: Perfect for sustainable weight loss and a kick-off for a healthy lifestyle.